When will the Aquarium open? We look forward to welcoming you in late 2019. Stay up to date on our progress by signing up for our email newsletter. What are the hours of operation and admission price? Our projected hours of operation will be 10am to 6pm daily. Ticketing pricing will be found on our Tickets page. How long is the aquarium journey? In order to fully experience and enjoy each of our galleries, animal interactions and daily events we recommend allowing at least 1-3 hours for your visit to the St. Louis Aquarium at Union Station. During your visit, you can also enjoy the many amenities available at Union Station, including shopping and dining, The St. Louis Wheel, a miniature golf course, ropes course, and much more. What animals will you have and where will they come from? 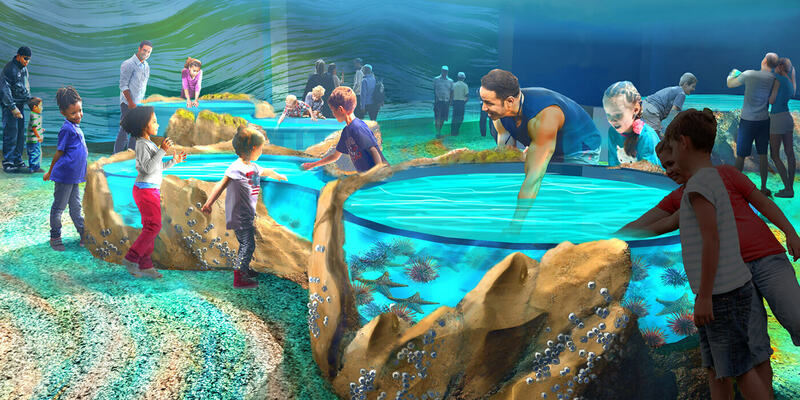 The Aquarium will feature a diverse array of awe-inspiring wildlife, including colorful species of fish from around the world, birds, and even mammals with interesting stories. Animals are coming to the aquarium from other accredited institutions and sources that are sustainable and meet governmental standards. 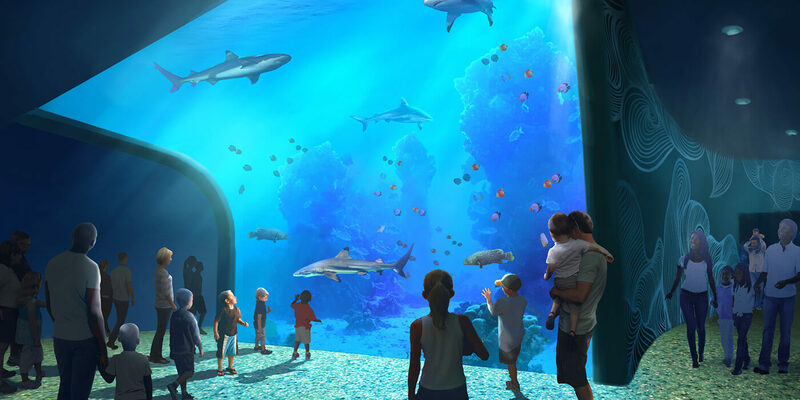 Once populations are established, the Aquarium will contribute back to the zoological community and collaborative breeding programs to help sustain wildlife populations. What is included with my ticket to the aquarium? General admission tickets allow access to the aquarium and programs within our exhibits and galleries. Tickets to The St. Louis Wheel, ropes course, miniature golf course, and mirror maze can be purchased separately. Guests can also purchase Combo Passes to multiple venues at a discounted price. What can I bring inside the aquarium? While guests are permitted to bring strollers, backpacks, and cameras into the facility, we encourage guests to leave large items behind or store them at our dedicated kiosk. 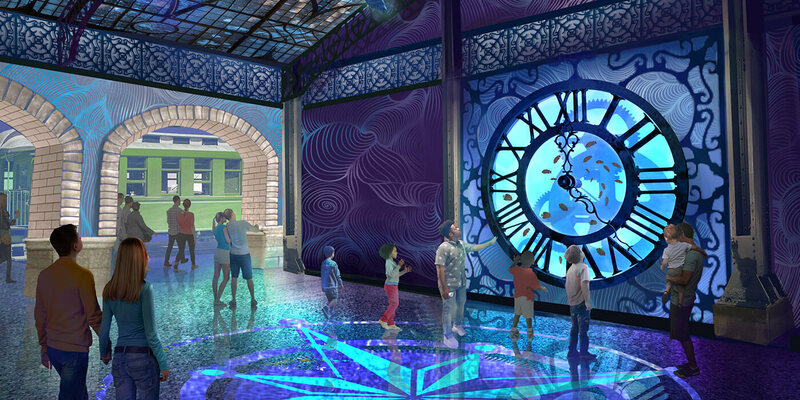 The St. Louis Aquarium at Union Station will reserve the right to search all property for the purpose of determining compliance with our policies. Trained service animals will always be permitted inside the Aquarium, however for the health and safety of our animal collection, service animals will not be permitted into back of house areas. No other animals will be allowed. For the safety and wellbeing of our animals, we do not permit outside food and beverages in the Aquarium. For the convenience of our guests, we offer multiple dining locations within the facility. To learn more about dining options at the Aquarium, visit the Dining page. Thank you for your interest in working with us at St. Louis Aquarium at Union Station! We are looking for talented professionals like you. Starting in 2019, we will be recruiting staff with various levels of experience and backgrounds in animal care and health, education, facilities maintenance, guest experience, sales and marketing, retail, finance and many more areas for this amazing project. Should you wish to be considered for employment, please visit our careers page.